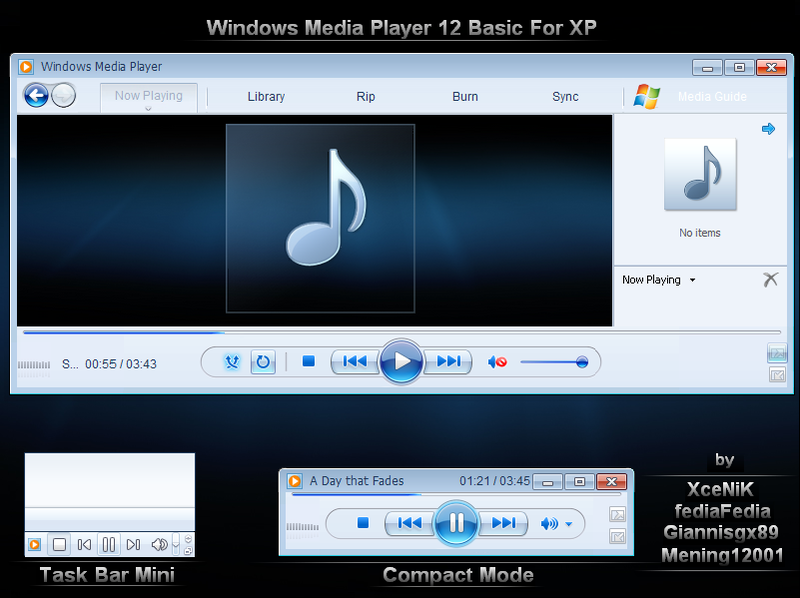 This Is A Trick To Get Windows 7 Media Player Look In Your Windows Xp. It Is Just Look Like WMP 12 . But These Resources Are Only Work With Given Version Of WMP 11 (For Eg; If Your Windows Media Player 11 Version Is 11.0.262.Xxxx And They Provided The Version 11.0.145.Xxxx. You Cannot Use This Resource. That’s Why When You Crack Your Wmploc.Dll File. And Open Your WMP You See A System Error That “This Is Not The Version Of 11.0.262.Xxxxxx” Or Some Else. But,Now I Solve This Problem. Any Version And Follow The Instruction.